By Robert Farley on Monday, August 18th, 2008 at 12:00 a.m.
Google "McCain and flip flop and torture" and you'll get hundreds of thousands of page hits, just one indication that Sen. John McCain has been hammered for supposedly wavering on the issue. For years, McCain has been one of the most powerful voices in Congress advocating against torture; a position informed by his personal experiences at the hands of the North Vietnamese during 5 years as a prisoner of war. He repeatedly stood up to the Bush administration, opposing such controversial practices as waterboarding as cruel and inhumane. The Bush administration argued that waterboarding is legal under certain circumstances and the Central Intelligence Agency publicly acknowledged waterboarding three people since Sept. 11, 2001 (including Khalid Sheikh Mohammed, thought to be the mastermind behind the attacks). In 2005, in the wake of abuses at Iraq's Abu Ghraib prison and other U.S.-controlled facilities, McCain championed an amendment that required the military to abide by the Army Field Manual, which specifically forbids waterboarding, as well as other actions: forcing a detainee to perform sexual acts or pose sexually, placing hoods over the heads of detainees, threatening detainees with dogs, or using temperature extremes to cause physical trauma, among other things. Although the CIA was not limited to those specific techniques, McCain argued the CIA had to abide by a prohibition against cruel, inhumane or degrading treatment as per the international convention of torture. And McCain has consistently spoken out against torture during his run for president. "Anyone who knows what waterboarding is could not be unsure. It is a horrible torture technique used by Pol Pot and being used on Buddhist monks as we speak," McCain said after a campaign stop in Iowa in October 2007. "People who have worn the uniform and had the experience know that this is a terrible and odious practice and should never be condoned in the U.S. We are a better nation than that." At a Republican debate in St. Petersburg, Fla., in November 2007, McCain again was clear in his conviction that waterboarding and other extreme interrogation techniques are in violation of the Geneva Convention, "it's in violation of existing law." "And again, I would hope that we would understand, my friends, that life is not 24 and Jack Bauer. Life is interrogation techniques which are humane and yet effective," McCain said. "And I just came back from visiting a prison in Iraq. The Army general there said that techniques under the Army Field Manual are working and working effectively, and he didn't think they need to do anything else. "My friends, this is what America is all about. This is a defining issue and, clearly, we should be able, if we want to be commander in chief of the U.S. armed forces, to take a definite and positive position on, and that is, we will never allow torture to take place in the United States of America." With such strong convictions on the issue, many human rights activists were disappointed when, in February, McCain voted against a bill that would have limited the CIA to following the techniques outlined in the Army Field Manual as well. The bill passed anyway, but President Bush vetoed it. 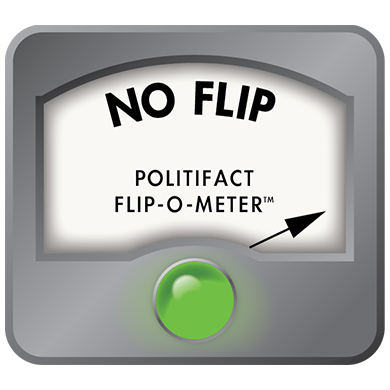 A number of McCain's opponents, as well as a few newspaper editorial boards, accused McCain of flip-flopping. McCain said he opposed the measure on the grounds that the CIA should not have to follow the same guidelines as the Army, and it should have the flexibility to use valid techniques not mentioned in the field manual. "None of those techniques would entail violating the Detainee Treatment Act, which said that cruel, inhumane and degrading treatments are prohibited," he told reporters in February, defending his vote. Tom Malinowski, the Washington director of Human Rights Watch, said he disagreed with McCain's vote and believes "it put us in a position where we will have to wait until January to definitively end the country's experiment with torture." "At the same time," Malinowski said, "I don't think he's been inconsistent." McCain has never formally supported applying the Army Field Manual to the CIA, Malinowski said. "It undermined a cause he profoundly believes in," Malinowski said. "But I don't question his commitment to the cause." McCain has continued to speak unequivocally in opposition to torture, as he did in a foreign policy speech in March. "America must be a model citizen if we want others to look to us as a model," McCain said. "How we behave at home affects how we are perceived abroad. We must fight the terrorists and at the same time defend the rights that are the foundation of our society. We can't torture or treat inhumanely suspected terrorists we have captured." Sounds like the same tune to us. Some may argue that McCain missed a pragmatic opportunity in February to achieve his aim of preventing the CIA from waterboarding — or that he buckled to the administration in an election year. But we think voting against a measure to limit the interrogation techniques of the CIA to those used by the military — a position he held even back in 2005 — is not the same as endorsing waterboarding or torture. We give McCain a No Flip on torture. Published: Monday, August 18th, 2008 at 12:00 a.m.
PolitiFact, "Waterboarding one aspect of larger measure"